It's a new year. Let's let some things from the past go. Let's create some breathing space. Let's stop holding on to items we don't use, out of guilt. 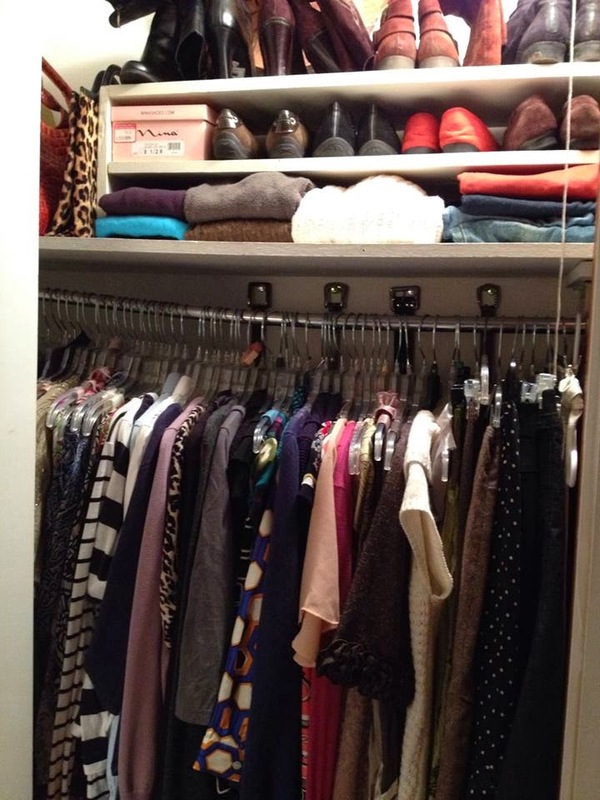 First up: my closet. I could hardly shut the door due to holding on to too many things and letting it get completely disorganized during a busy holiday season. There is a garbage bag full of clothes and shoes in the back of my car headed to Goodwill. I'm still looking at what's left and wondering if I still couldn't do with a bit less. 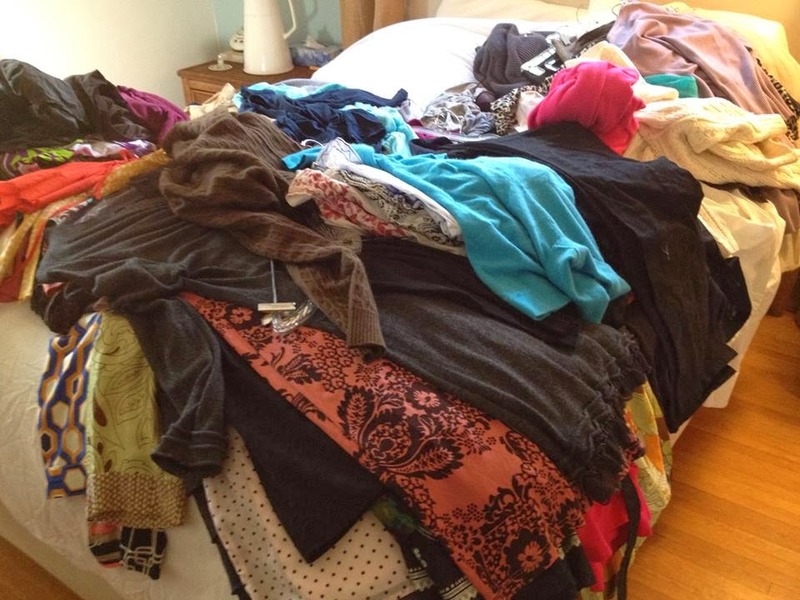 I started by taking everything out of the closet and piling it on the bed. That is always so scary. And I found a turquoise cashmere sweater I'd lost. Now that's just ridiculous. 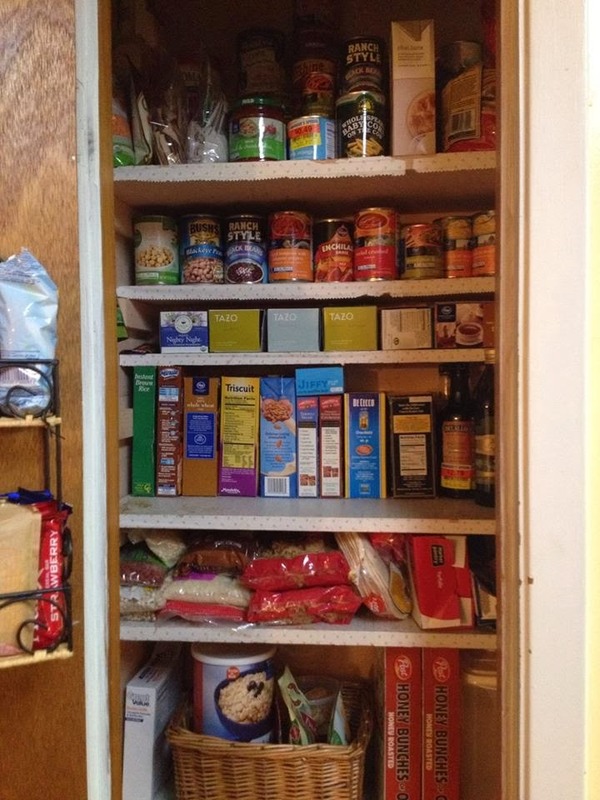 Yesterday the pantry got a complete overhaul. I wanted to paint it and replace all the shelf paper. I've been trying to get to it for a few months but every time I go to tackle it, I think "I want to paint the kitchen so I'll just makeover the pantry at the same time." That will get done eventually, but meanwhile the quest for perfection in the project kept me from doing what needed done the most which was to just throw some things out and reorganize it in a way that made more sense to how we live now as empty nesters. The other day I got home from the grocery and decided to just do it before I put anything away. Not only can I find things now and only am storing what is being used when I do get around to my kitchen make over the pantry will be a breeze instead of a major project. You can tell from the picture that it still needs to be painted and have that tired shelving paper replaced. But there is a shelf for my tea and breakfast things are grouped together. I can find things! Yippee! Don't let wanting to do something perfectly keep you from improvement. Remember: something is better than nothing. Small improvements are still improvements. The next thing on my list are my books. There will be wailing and gnashing of teeth. Did I tell you I got a Kindle for Christmas?